Next it was time to eat, so we had birthday cake for breakfast. Obviously. We wanted to do something fun, so we called my parents and then we all drove up the coast to the Santa Barbara Zoo. The SB Zoo is much smaller than its Los Angeles counterpart – it’s the perfect size for a child to walk through without getting over-tired. It’s also a stone’s throw from the beach, so the weather is much nicer and the whole place has a relaxed vibe. I hadn’t been there in years, easily since an elementary school field trip. If my mom were writing this blog she’d now stop to tell you the story about how I got lost at the Santa Barbara Zoo on one of these field trips, but I will swear until my dying day it was my brother who got lost. *I* have an excellent sense of direction. Anyway. On the drive up, Mike told Annie we were going to the zoo to see animal houses. Those two words stuck in her head, and over the course of the next few hours she ran around screaming, “ANIMAL HOOOOOOOOUSE!” like a tiny belligerent fraternity boy. We saw the otters at feeding time, and the penguins, which Annie was pissed she couldn’t pet. So I tell my dad, “yo, that elephant is toast,” and he pulls out his phone to google, “Do elephants sleep laying down?” Meanwhile, Annie is imitating an elephant’s trunk and yelling, “El-phant sleeeeping! ANIMAL HOOOOOOOUSE!! !” and it’s chaos. Fact: Elephants can sleep standing up OR laying down. Something else I have in common with elephants. We all got to feed a giraffe, which was really cool. I thought Annie would be scared but she was totally into it. The giraffe was totally into licking all of us, which made me be totally into disinfecting everything. Annie couldn’t stop talking about the giraffe, which was super-cute. Annie was not a fan of the pier. She couldn’t verbalize it, but I could see the confusion on her face. She could see light between the wood beams, and was afraid to fall. I understood because I used to be afraid of the same thing (or maybe I’m projecting). We left as the sun was setting, and as we loaded Annie into the car I could tell she was going to fall asleep on the drive home. Before I got in the car I looked at the sunset, it was so pretty. Then we all listened to Annie scream herself to sleep for the next hour. Let the Terrible Twos begin! Gorgeous pics and people and stories. Happy Birthday Annie! Two’s got nothin’ on three! Just you wait. I love my three year old dearly but, ooh, the sass, the sass. Balloons, B-Day Cake for breakfast, the zoo….the BEACH (my favourite)….AAAhhhh – Sounds like a PERFECT day!!! Happy Birthday to Annie. Sorry to tell you though, the threes have been much harder for us than the twos! You know.. every once in a while I see a picture of Annie and it just screams Maddie. The light is right or the angle of her face is just so that you can see they look SO much alike. That picture of Annie talking about the giraffe. They are so sisters. Happy Birthday Annie! Looks like you had so much fun! If I lived close to the beach I’d probably go every day. I don’t want to be in landlocked midwest anymore. Bwah! The end of the post cracked me up Such beautiful pictures, such a fun way to spend a birthday, then BAM!, screaming Annie! Ha, love it! So if you haven’t already, listen to Taylor Swift’s “Best Days”, it’ll make you weep and feel proud of the life and memories you are giving your Annie. Happy Birthday to that sweet (and a little spicy) girl! I love it! I smiled the entire time I was reading this post. Oh honey… let me just tell you – Two’s have nothin’ on Threes. Threes are unreal. That whole “didn’t know how to verbalize it” thing goes right out the window. They can verbalize. And lordy do they ever. No one ever warns you about three…. enjoy 2 while you can… trust me. Annie is a lot like my youngest was that age. I love the balloons. We have a birthday tradition where while the kids are asleep the night before their birthday, I hang streamers and a Happy Birthday sign in their doorway. That way when they wake up and open the door they have to go through the streamers to get out. They love it and it is fun for me! What a perfect way to spend Annie’s 2nd birthday. Looks like everyone, especially Annie, had a wonderful time. Sometimes your writing chokes me up because of the beauty in it and I’m able to control myself and not cry, but then with one swift stroke of your keys you make me laugh and and it becomes a – ? Whatever it is I’m sure my face doesn’t look pretty when I do it. LOVE, LOVE, LOVE the balloon idea! Would you email me in 11 months to remind me to do that for my little guy? Your pictures – I want to take pictures like that! Sounds like an absolutely perfect birthday adventure!!!! 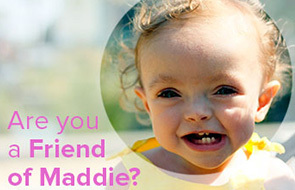 I so agree with Becca that Annie’s “giraffe story” photo is definitely mirroring so much of her big sister,,,,,,,,,,,,,,,,beautiful, little Maddie. Looks like Annie had a fabulous birthday (cake for breakfast = awesome). And now I want to go to the Santa Barbara Zoo. Feeding a giraffe would rock. Best of luck to you with the terrible twos! I look forward to reading about them. Love the SB Zoo! My parents are part of those lucky ones who live in SB and we take the kids to the zoo a few times a year! You are so right, the size is perfect, plus you can see the beach that my husband and I were married on from the top of the hill! I love the zoo. Love GIRAFFE’S!!! I agree with some of the previous commenters. Two’s are very rough, Three’s are a bit harder b/c they are smarter, but still throwing fits and cant verbalize things. I *highly* suggest the book 123 Magic, it worked for us as we had *no clue* what to do with our crazy little monster. She was in time out ALOT. In restaurants, grocery stores, in her car seat (I loved that one!) where ever we were. And that book helps to give you the balls to do it. After a couple of times of putting Ava in time out in the corner of the stores, I could give a crap about the looks people gave me. And your zoo trip looked so awesome and relaxing. I wanna go! Oh- and at 4, they are smarter than you are and will tell you so. So enjoy the bliss you are in now, even though it does not seem like it. Atleast now you can cuss and mostly get away with it. Looks like a really fun day, and your photos definitely tell the story. By the way, “Animal House” is totally my dad’s favorite movie. I remember being introduced to the genius of that film when I was — oh — ten or so. He just couldn’t help himself. Good thing most of it was over my head . . .
Wow, seems like you guys had a blast! But dang, I only wish I had known you guys were on your way – I’ve lived here my whole life! I could have shown you around the whole zoo on Sunday. The balloons are awesome, and cake for breakfast? The birthday could have ended right then and there and still been perfectly adequate. Your photo of Annabel on the pier is gorgeous — the little girl staring down the big world before her. And what an adorable outfit with the bright yellow flowers! Looks like Annie had a great birthday!